On the afternoon Tuesday the fifteenth of April 1740 two men set out on horseback from the house of John Dodd in High Street Sutton Coldfield, heading for Birmingham. One was Humphrey Greswold Esquire, of Malvern Hall, Solihull, the other was a clergyman, William Bennett. They rode past the gentry houses with their brand new Georgian facades, then down Mill Street, where the new workhouse had been built the year before, to the lower part of the town where there were labourer’s cottages and noisy workshops, and then across the dam of the old mill pool - the pool had been drained and converted to wet meadows. They went up the hill between fields to the single-story Golden Cup inn and through the hamlet of Maney, with its big farm houses and cottages clustered round the old smithy. Passing another single-storey inn, the Horse and Jockey, with the ancient Maney Manor House on the opposite side of the road, (nearly derelict in 1740, demolished 1756), they went uphill again into open country. The road levelled out as it passed some cottages (now 144 and 146 Birmingham Road), and so to the tiny settlement of Wylde Green at the junction with Wylde Green Road. Shortly after Wylde Green the road forks, the right-hand fork being Green Lanes. Generally green lanes are ancient trackways, fallen into disuse and overgrown with greenery - in 1740 Green Lanes was still a throughfare, leading across Chester Road and over part of the Erdington commons to Gravelly Lane. By 1800, when the Erdington commons were enclosed, this route was so little used that Gravelly Lane was laid out across Short Heath common on its present alignment, not linking with Green Lanes at all. When they turned into Green Lanes another man riding a bay horse came up to them, and he and Humphrey galloped off, leaving Bennett behind. After a while Humphrey Greswold stopped, and looking back, saw Bennett’s riderless horse coming up. A passer-by helped him to catch the horse, and two men who were hedging came to help with the search for Bennett. They met a woman (there were plenty of people about in the countryside in those days) who said she had seen a man lying on the ground further back in the lane. “They then pursued the direction of the said Woman and found the said deceased (William Bennett) lying in a Cart-rut with his Face downwards in the parish of Sutton Coldfield aforesaid. This Informant (Humphrey Greswold) then Road back to Sutton Coldfield as fast as he could and sent a person upon his Horse to bleed him”. This was the evidence given by Humphrey Greswold at the Coroner’s Inquest the following day. The Warden of Sutton, Samuel Kempson, was the Coroner, and twelve local men were sworn in to be the jury. The verdict was that Bennett “was Rideing upon a certain Gelding which casually fell down and throwed the Head of the said William Bennett into a Cartrout with such force that the said William Bennet was suffocated and then and there instantly died”. They concluded that “by misfortune and not otherwise he came to his death”, but the horse should not have thrown him, and must be destroyed as unsafe. 144 and 146 Birmingham Road in 1890. 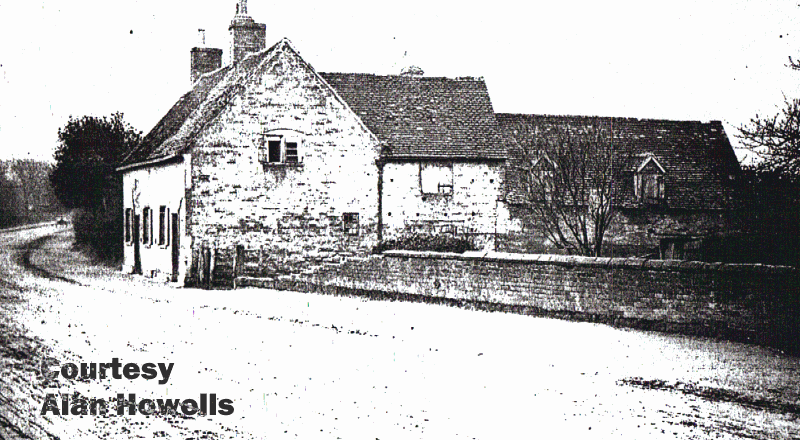 These cottages at the summit of the hill, a landmark on the lonely Birmingham Road in 1740, are still a feature today.